As most NGOs would attest to, one of the key limitations that hinder their growth and adoption of relevant solutions is their limited IT team and resources – or in some cases, a complete lack thereof. 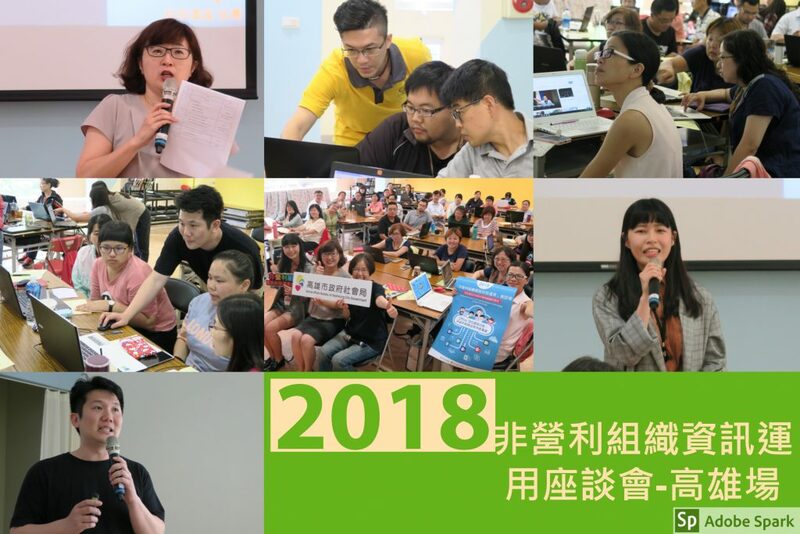 Recognizing this issue, NPI – TechSoup’s partner NGO in China – has sought to address this concern by offering NGOs a hands-on training program that seeks to assist NGOs in various stages of implementing Office 365, beginning from the process of applying for the donations up to the actual usage of its various features. 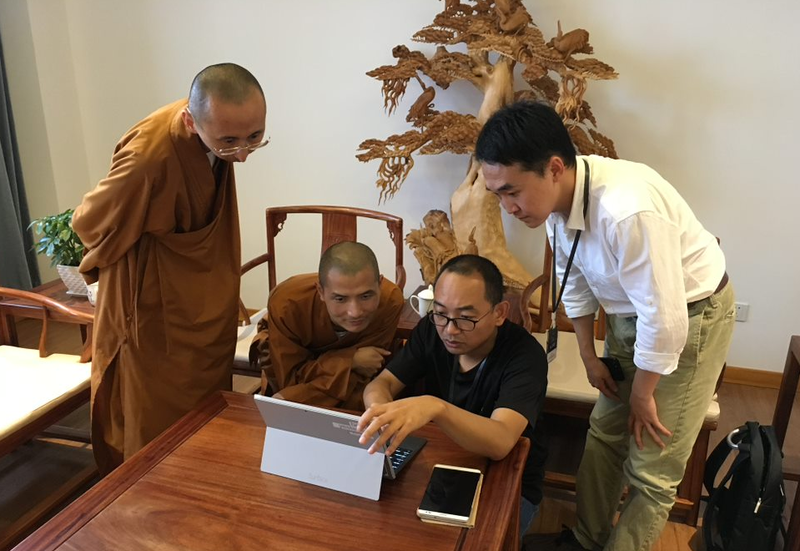 In focusing on Office 365, NPI sees an opportunity to arm, educate and enable any NGO with essential cloud tools to make their operations efficient, that is flexible to any changes in their organizational size & structure, and most importantly, requires very little maintenance. 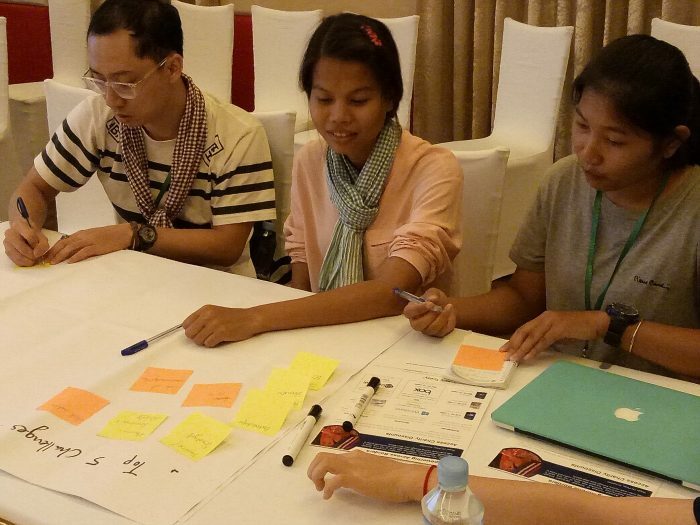 NPI to this day has been able to pilot this program on 3 separate NGOs, providing them a guided one-on-one experience that encompassed various stages of implementation. 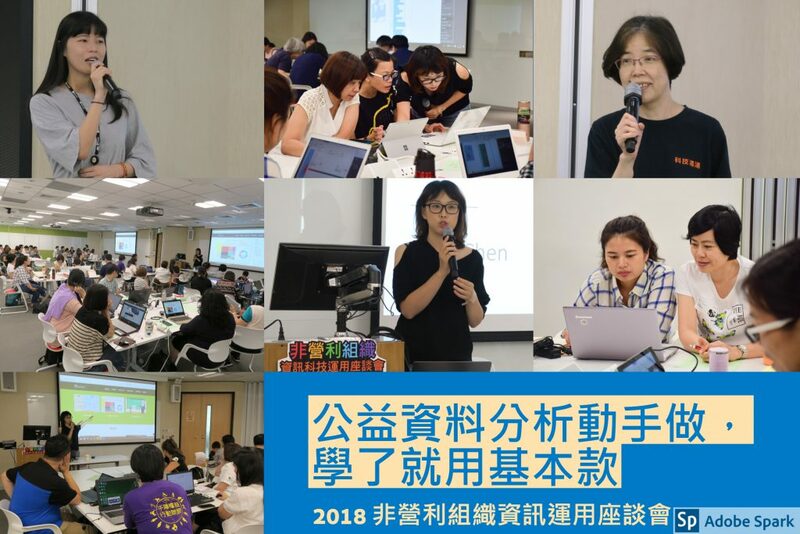 This ranged from as early as setting up their domains & user accounts, up to a more feature-focused approach such as training on SharePoint and Teams. Over the course of my 12-year career in social responsibility, I have been privileged to have experienced life from both sides: the funder (the giver) and non-profit sector (the receiver). 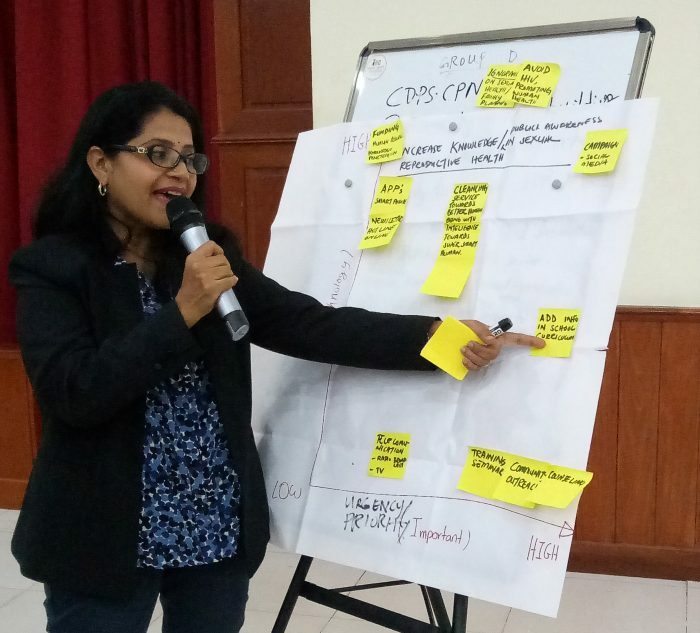 I have also witnessed the evolution of Corporate Social Responsibility (CSR) in Malaysia, from a hand-out charitable, one-off donation mentality, to inclusive, rights-skewed, educational and action-based projects that empower communities encouraging them to take action. Ask any non-profit and you’ll hear the same sentiments echoing across: lack of stable funding, lack of human capital and adequate resources, desperately need better organizational effectiveness, better external and internal communication, more social media skills, and so on. 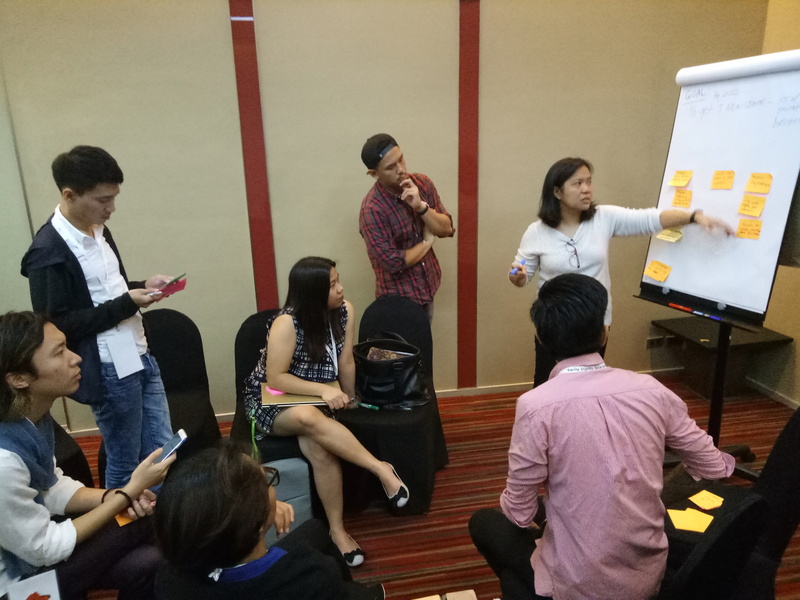 The above were actual comments from the corporate sector who attended the TechSoup Corporate CSR Networking event at Traders Hotel Kuala Lumpur on 7 March 2018. 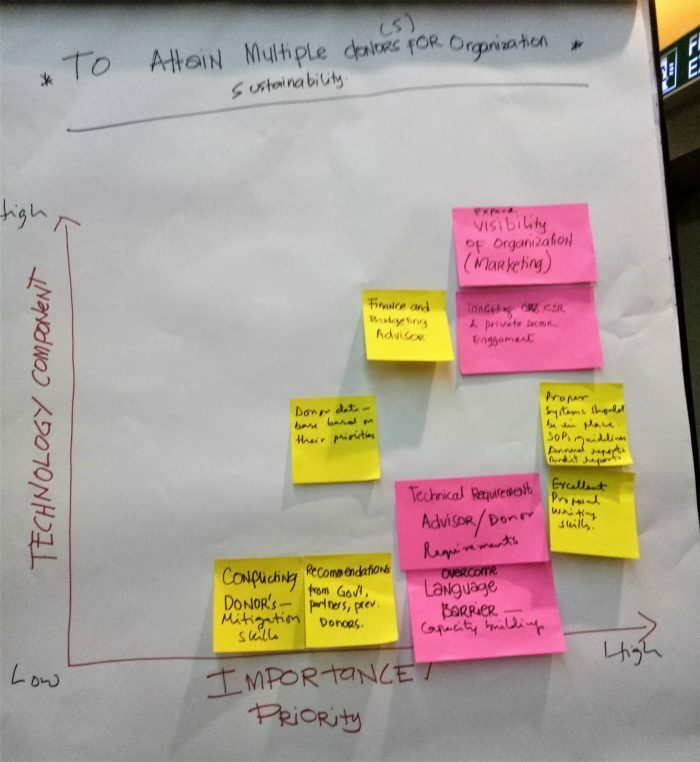 In the CSR Networking event, the consensus was clear: the non-profit sector needs to strengthen their foundational skills. Some challenges require little technology intervention, others require more. 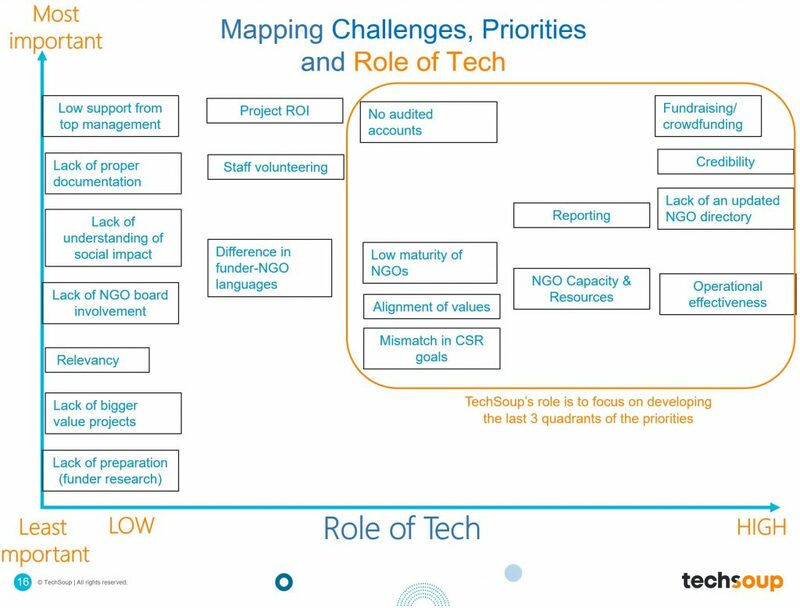 In the coming months, TechSoup’s goal is to develop projects that will address the priorities in the last three quadrants as shown in the image below.